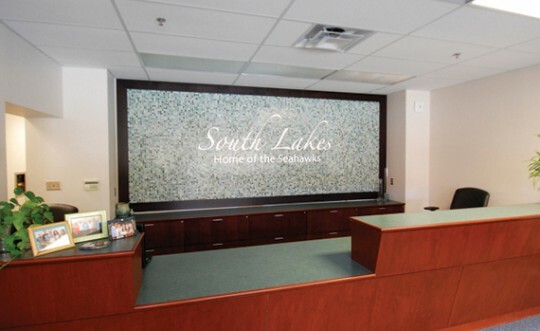 South Lakes High School underwent a truly remarkable renovation from 2007-2009, completely changing the culture and overall functionality of the school. 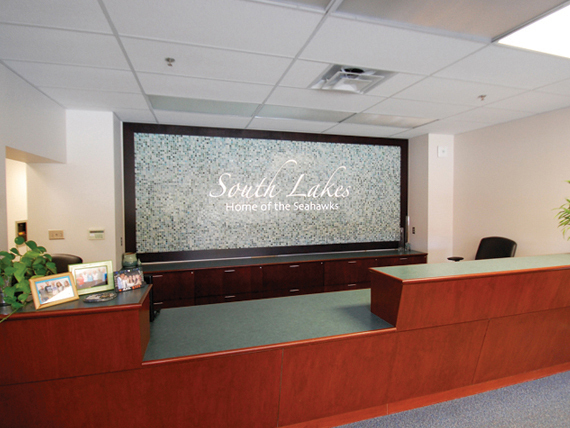 EHD was tasked with giving a finishing touch to the Main Office. A specialty treatment that would signal the Seahawk’s rebirth in Fairfax County.